Something unexpected happened on this "free walking tour" I was joining. Instead of rubbing elbows with some other visitors, I ended up spending the next 3 hours as SpicyChile's only guest. In other words, I got myself a private tour. How cool is that? "Walking tours" of course may not be right up everyone's alley but each time it says "free", I'm certainly going for it. Especially when I'm already short on time and the last thing I want to do is get lost (I don't mind getting lost really if only I wasn't flying that very evening). And because guides on these free tours are volunteers (they only rely on tips), they're quite enthusiastic about what they do. With Cerro Santa Lucia now behind me, I trekked to the tour's meeting point in Barrio Patronato, a Santiago neighborhood a bit to the north. On the way there, I ogled at the neoclassical Palacio de Bellas Artes, the city's fine arts museum lording it over Parque Forestal. This beautiful building was really beckoning me to go inside but my feet was itching more for the market experience. 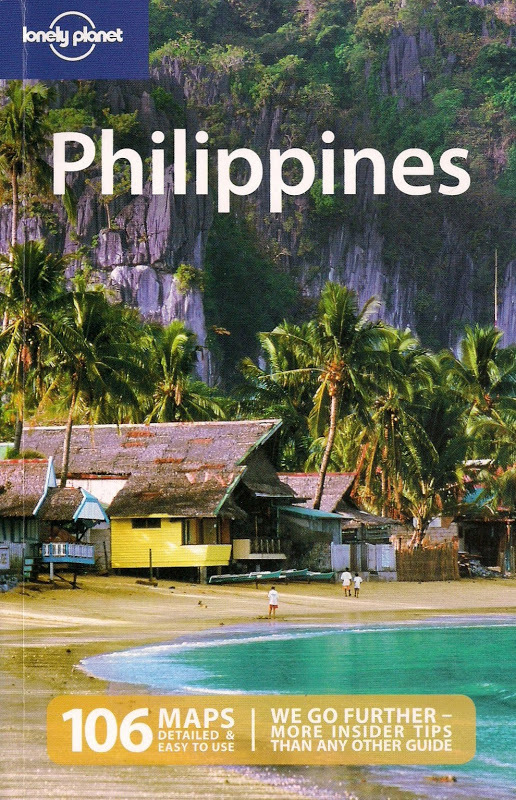 Next visit perhaps? Barrio Patronato has always been known as La Chimba (the other side), as it's situated on the other side of Mapocho river which cuts through Santiago. Since the early 1900s, this neighborhood flourished with the arrival of Arab immigrants from the Middle East - we're talking Palestinians, Syrians, Lebanese - who built shops and restaurants here. A wave of Chinese and Koreans followed suit, further strengthening the neighborhood's commercial vibe. Rodrigo, the SpicyChile guide wearing lime green jacket, was already waiting for anyone to show up when I approached him. After a 15-minute more wait, it was apparent I was the only one he was guiding. So off we go to the mercado. There are three markets on this itinerary and Rodrigo leads me first to La Vega Central, located in a shady-looking part of the barrio. 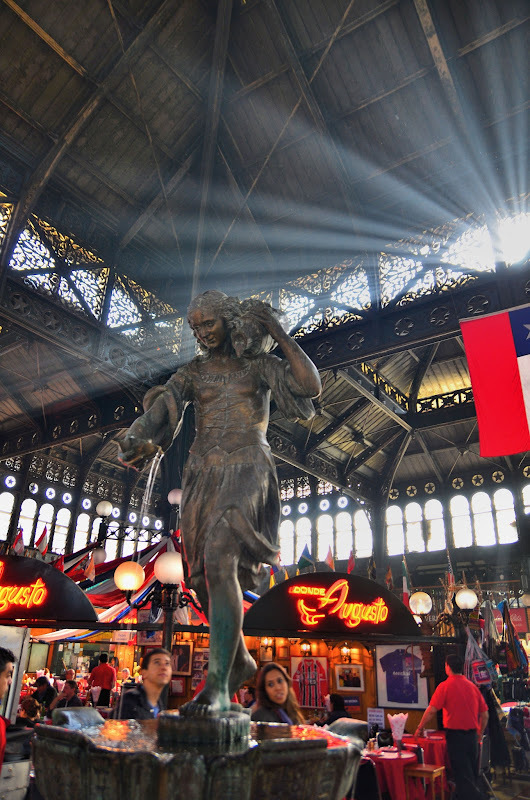 La Vega is Santiago's biggest food market. Beneath a huge metal scaffolding lies a veritable landscape of Chilean produce from vegetables to meat to seafood. We dodged cargadores pushing carts heaving with corn and made our way past a labyrinth of stalls brimming with oranges, apples and pomegranate. Shoppers were busy perusing for anything that might be part of their dinner that evening while those wanting some leeway from all the frenzy focus their attention instead on slot machines found cheek by jowl with crates of fresh goods. A bit of Las Vegas in La Vega if you will. On another building is La Vega Chica, basically an extension of the big mercado. Most weekdays, one will find locals sitting on one of the many small open-air restaurants eating cheap Chilean fare like cazuela (chicken or beef soup), humitas (corn pies), charquicán (beef stew), porotos con riendas (bean, squash and noodle stew) and of course empanada. It maybe a bit dark and dingy here but it certainly was alive with patrons on a mission to fill themselves with soulful sustenance. We traipsed over into Tirso de Molina Market, somewhat a newer, cleaner, airier reincarnation of a burned-down market. It's a two-story arrangement with a hodgepodge of shops, restaurants and stalls - there are garment shops and grocery stores interspersed with stalls selling various fresh fruit juices. We stopped by one stall owned by an elderly couple, ordered empanadas de pino al horno and parked ourselves on one table. It was a relief to finally sit down, refuel and talk without risk of bumping into shoppers. Another short walk and we're in the La Pérgola Santa Maria - an indoor flower market. Not being so familiar with flowers myself, Rodrigo says all floral beauties grown in the Chilean central valley is brought here. The variety is astounding and it's bursting with a riot of colors. But one thing this market is well known for are the elaborate wreaths which eventually end up in the cemeteries. Crossing Mapocho River via one of the bridges led us now into Mercado Central. Opened in 1872, this market was built using cast iron as a supporting structure. From outside, the entire building looks like a grand old dame that just refuses to retire. Mercado Central is still busy today, operating mainly as a fish market where the nose gets assaulted by the pungent smells of sea produce. There are touristy seafood restaurants just beneath the big dome, mostly with aggressive touts enticing every passerby. Finally, Rodrigo ushers me into La Piojera (The Lice House), considered an institution among locals who imbibe. This popular watering hole got its name in 1922 after a not-so-amused Chilean President gave a snidely "what is this place, a lice house?" to a compadre who brought him there. La Piojera's raucous, down-to-earth atmosphere and cheap drinks appeal well to a ragtag of patrons who couldn't care less if it's only midday. What gets everyone on the mood is the joint's most famous drink Terremoto ("earthquake"). Rodrigo orders for the two of us and the bar man immediately scoops pineapple ice cream into plastic cups and fills it with pipeño (a type of fermented sweet wine). It tastes sweet of course but there's this gradual, kick to it as Rodrigo and I kept blabbering away, oblivious to the accordion man singing nearby. Why "terremoto'? Rodrigo tells me after an earthquake in March 1985, a group of German news reporters covering the devastation sought solace from the heat. They got into another bar where one Chilean waiter concocted the devilish drink. Their reaction "Esto sí que es un terremoto" (This is really an earthquake) thus made the name. If Chile's encounters with earthquakes aren't enough, this drink - after one too many - is guaranteed to sway that Richter scale to a really shaky feeling beneath the feet. There's even a follow up drink called Replica (or "aftershock") but we didn't go that far. Rodrigo has other commitments while I do need my knees to stay steady and my mind alert - can't risk being offloaded from a flight for being inebriated. Just blogged about a Sunday market in Cebu. Really fascinates me how many great things you can find in these places. I also love how cheap prices can get. The empanada looks really tasty! Just looking at what's on sale in local markets give us a good glimpse of what people put on their table for meals - another way to learn while traveling, right? visiting public markets is such fascinating introduction to any place and that one in la vega really caught my eye. slot machines along side the alleys of crates and goodies. very much like las vegas indeed! i agree with edcel (of soloflighted), that empanada looks delicious and huge! Yup, Chilean empanadas tend to be big it's practically a meal in itself. While it was good, the best IMHO are the ones I've tried in Salta, Argentina. Still can't get over that slot machine inside a public market - of all places hahaha! incredible experience. i for one vouch for walking tours (when they're free it's a bonus). i think they're a great way to learn about the place in a shot time. also, how cool is that the tour went ahead even if you're the only signee. usually, they have a minimum number of guests for a tour to commence. my eyes enjoyed the sights in the market. It was really unusual the tour went ahead even with just me as guest but who am I to complain :) The experience was of course worthwhile and I made sure the guide got his well-deserved tip. I was actually mulling going back to eat (at the cheaper La Vega Chica) but then after the Terremoto experience, I didn't have the urge anymore. A few hours later, I was ravenously eating at the Lan Chile lounge in SCL. Indeed, walking gets you as close to the local action as possible and it's also a great way to burn off those calories trying local food! Interesting walking tour and its free! I love love love visiting local markets when I'm traveling. I love the markets where I live and seeing them while traveling helps me really feel like I've gotten a real taste of the culture of a place. Thanks for sharing these awesome photos and your story! Hey Dana, thanks for visiting. Local markets are like windows into people's kitchens so they do give us a great insight into foreign culture. Lucky you, getting yourself a private tour! There's nothing like touring markets with a local. I like all the colors and local vibes you captured. Love the story behind The Lice House. Your photo made me missed the empanadas in Santiago. I've only been on a free walking tour once - in Sao Paolo, Brazil. And you're right, because the guides are volunteers that are so passionate with what you're doing. Hi Marisol! thank you. I wish there'd be more of these free walking tours on cities we visit. Going on a walk with an enthusiastic volunteer guide allows immersion beyond the usual sightseeing!